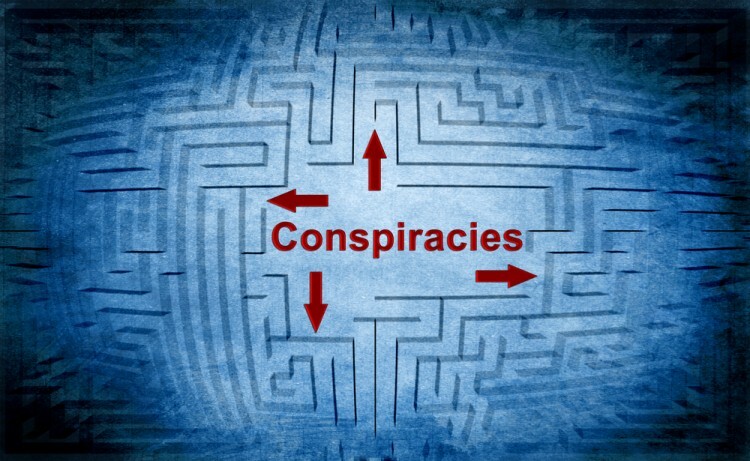 Personally, I love conspiracy theories and anyone who feels the same will enjoy our picks for the 8 best conspiracy documentaries on Netflix, Hulu, and Amazon Prime. Ok, I am not one of those guys who wears aluminum foil on my head and thinks our government is run by aliens. That borders more on paranoia than rational skepticism and observations of data. I do, however, believe that some conspiracy theories have enough of a foundation to be considered plausible. They also entertain me, especially those that make you question things that you thought you knew. My favorite one by far is the “Paul McCartney” conspiracy theory. According to it, the real Paul McCartney died in a car accident in 1966. Because the Beatles were so huge at the time, the event could’ve jeopardized their legacy. So the death was covered up, they found a guy that resembled Paul, got him some plastic surgery and acted like nothing happened. The Beatles have left subtle clues about it on their songs and album sleeves. It is really interesting, so you should definitely look it up. Political conspiracy theories are the most widespread ones. You might have heard of some of them. For example, there is a theory that the government of the United States faked the Moon landing. According to the theory, everything was actually shot in a studio and directed by Stanley Kubrick. There are also theories that the JFK assassination was a part of a bigger plan or that 9/11 didn’t happen as it was described. To make it interesting, many people believe in these conspiracies. According to surveys, 10 to 20% of Americans don’t believe that the Moon landing actually happened, 42% believe that 9/11 has government fingerprints all over it, and more than 70% believe that the JFK assassination was plotted by highly positioned individuals. If you are into politics but not conspiracies, check out these 11 best political documentaries on Netflix, Hulu, Amazon Prime and Youtube. The battle between Hulu, Netflix, and Amazon Prime continues to rage, with Amazon.com, Inc. (NASDAQ:AMZN)‘s Prime Video having been made available in dozens of countries, and Netflix, Inc. (NASDAQ:NFLX) having an impressive global base of 93.6 million subscribers at the end of last year. Hulu, which was founded by Walt Disney Co (NYSE:DIS), Comcast Corporation (NASDAQ:CMCSA), and Twenty-First Century Fox Inc (NASDAQ:FOX) in 2006 is also stepping its game up, with plans to launch live television streams later this year. Hulu would also like to expand to additional markets, as it’s currently available in just the U.S and Japan. Each service is loaded with documentaries, some of which are exclusive to each. To create our list of the 8 best conspiracy documentaries on Netflix, Hulu, and Amazon Prime, we have examined titles from multiple sources including Decider, Reddit, and Inverse, among others. We then checked each title for their availability on Netflix, Hulu and Amazon Prime. The ones that were available on one or more platforms were then ranked according to their IMDb rating. The documentaries with the best rating ended up on our list of best conspiracy documentaries on Netflix, Hulu, and Amazon Prime. Or did they? Head to the next page to find out what those documentaries are and begin deciding for yourself.